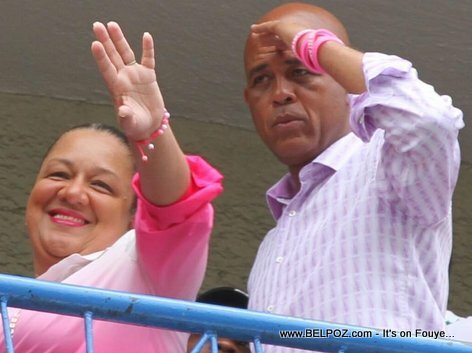 Haitian President Michel Martelly and his wife, first lady Sophia Martelly after they voted at the August 09 2015 elections. The President of the Premiere Dame went to a poll in Petionville to perform their civic duties. Prezidan an al Premiere dame la te ale nan yon nan biwo vòt nan Petionville pou akonpli devwa sivik yo.